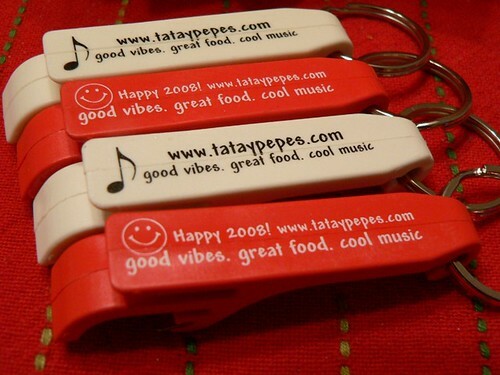 Tatay Pepes | General Santos City | Philippines » Blog Archive » Tatay Pepe’s is 7 Years Old Today! If you’re in General Santos City, stop by tonight!! 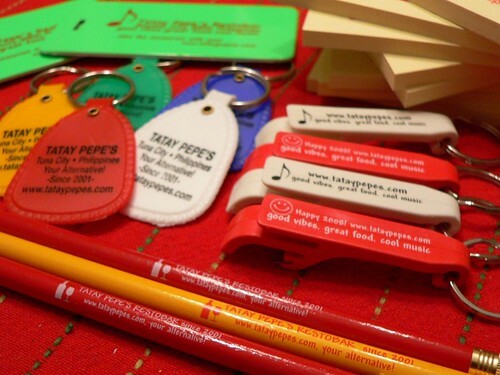 Jaz, my bestfriend and business partner is giving away lotsa goodies from where I am (US)… bottle openers, Keychains, post-it notes, pencils, luggage tags, T-shirts- all personalized! Come by the bar and have fun celebrating with us!! 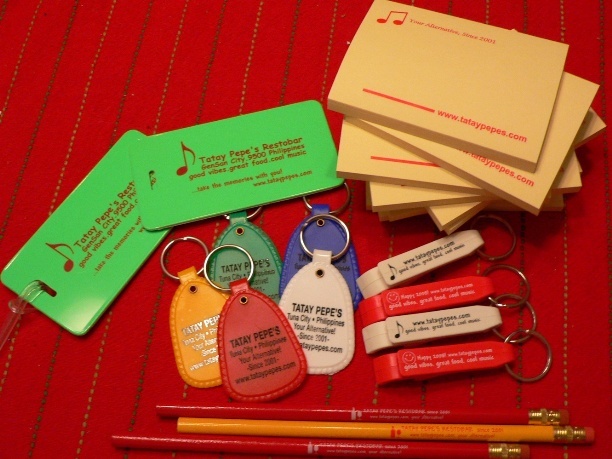 Freebies, goodies, booze and music! What could be better? wishing for more party years!!! Belated congrats… don’t stop blogging! I enjoy it. congratulations, at mabuhay ang iyong resto tatay pepe..sana makdlaw kami dyan someday..
regards din po mula rito sa dubai. congratzzzzzzz for the 7th anniversary!! the loggage are soooooo cool!! Congrats on getting to 7 years old; my blog isnt even a MONTH old yet. I have a long way to go.